Redeeming the code is simple; in the email you get, there will be a big 'Redeem Now' button. Click that, sign in to the Google account you used to purchase your Pixel, and proceed to checkout. 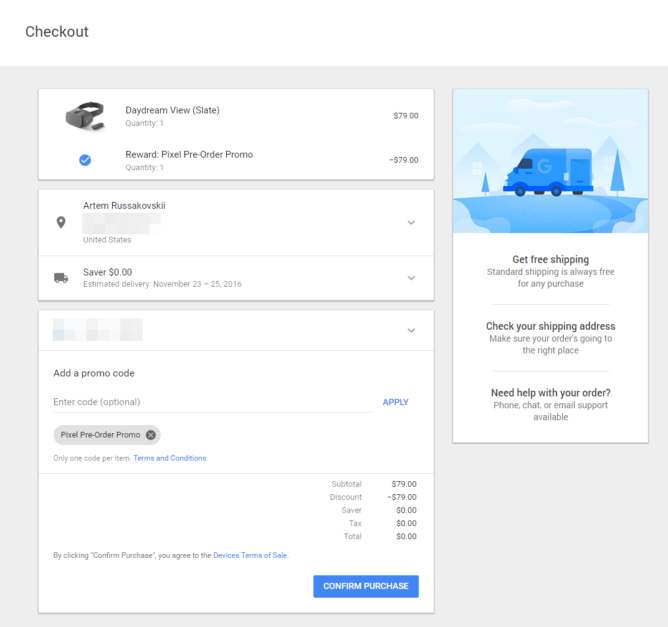 Unless you choose to upgrade shipping, the headset won't cost you a dime (well, disregarding the hundreds of dollars you already spent on your Pixel phone). 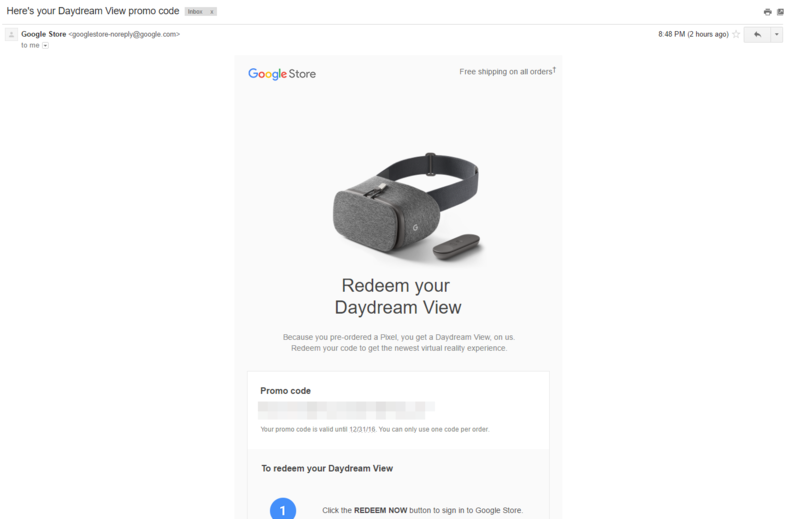 However, it appears that Google is only distributing codes for the Slate (gray) color, so if you were hoping to snag a Crimson (red) or Snow (white) Daydream View, you're probably out of luck. In addition, depending on when you order your headset, shipping could take a while. A tipster who ordered early on received a shipping date of November 22-24, and Artem got one for November 23-25. These are estimates for the free 'Saver' option; obviously, faster shipping methods will move that date up. There's been no word on the status of free headsets for Verizon Pixel pre-orders. If you aren't sure what to expect when your Daydream View comes in the mail, you can check out David's review.